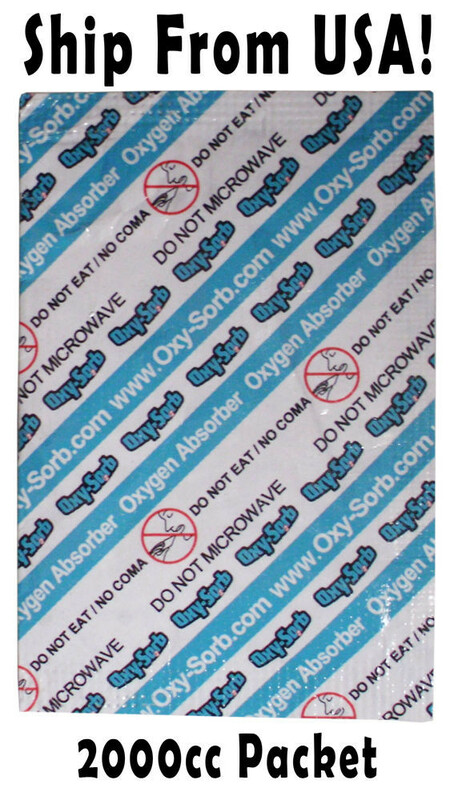 When used with proper packaging and sealing, the oxygen in the packaging is greatly reduced. Oxygen Absorbers are made of a chemical compound, the active ingredient of which is a powdered iron oxide. Our absorbers are completely safe. While they are not edible, they are not toxic. No harmful gases are created and the oxygen does not remove the fresh smell and taste of the product. Use with gas flushing / vacuum packaging to absorb virtually all oxygen and absorb any oxygen that may permeate the package.